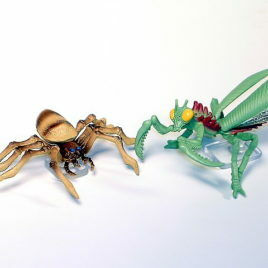 AQUA MOTHRA! 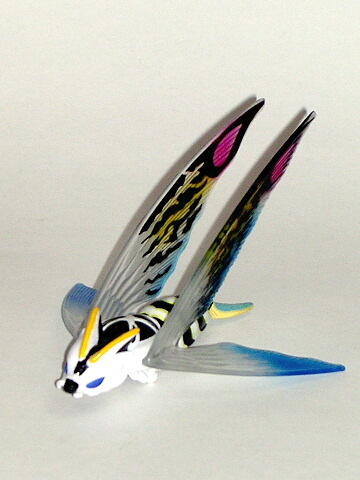 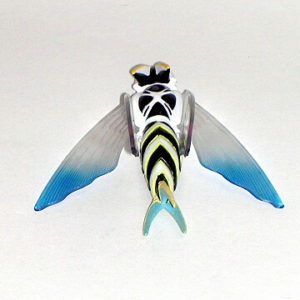 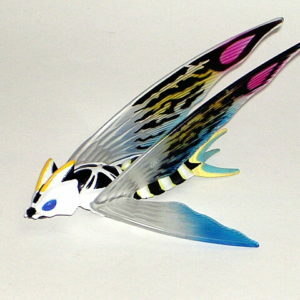 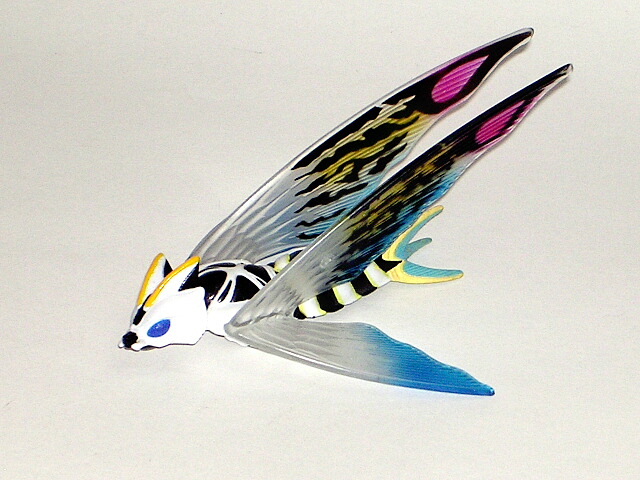 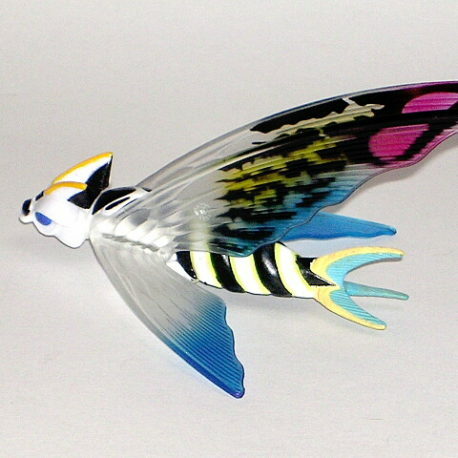 This is the flying form AQUA MOTHRA from a box set issued in 1998 by BANDAI CO. of Japan. 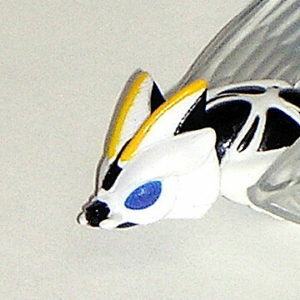 The figure is made of vinyl (body) and the wings are made of translucent plastic. 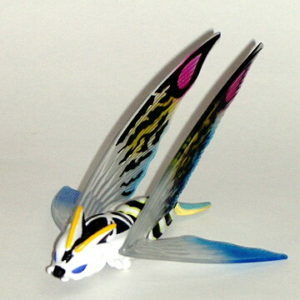 AQUA MOTHRA WAS FEATURED IN THE TOHO MOVIE “MOTHRA 3”. 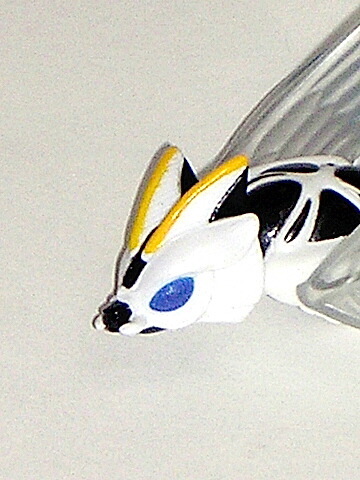 The figure is approx. 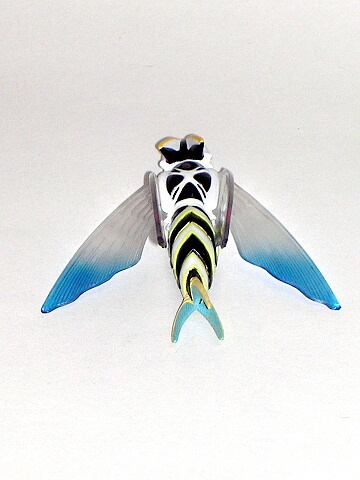 5 inches long and the neck is articulated. 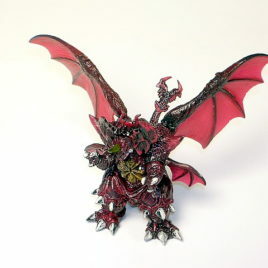 This is a very hard figure to find in any size EVEN IN TOKYO! 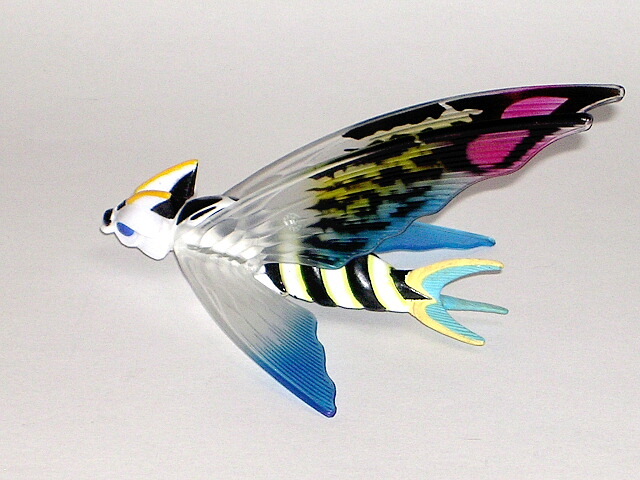 CLAWMARK TOYS WARING: NOT SUITABLE FOR VERY YOUNG CHILDREN DUE TO BRITTLE PLASTIC WINGS.